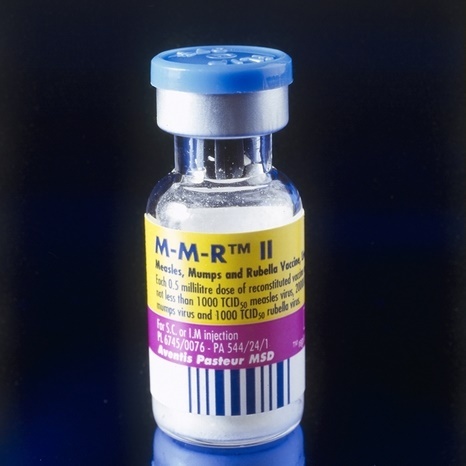 MMR to test or not to test? Can I assume you know about Andrew Wakefield and the fake link between the MMR vaccine and autism? Despite Wakefield being discredited and struck off the medical register in the UK he, and the ‘Anti-Vax’ brigade, is still having a profound impact on society, which is gradually beginning to filter down to how we manage MS. Why? The number of children receiving the MMR vaccine in England is falling. A report from NHS Digital shows that coverage of the MMR vaccine for children reaching their 2nd birthday has fallen the fourth successive year. Uptake was 91.2% in England in 2017-18, down from 91.6% in 2016-17 and the lowest level since 2011-12 (BMJ). The downside of this is that we have seen an epidemic of measles, yes measles, in the UK. Between 1 January 2018 and 31 October 2018, there have been 913 laboratory-confirmed measles cases in England (Public Health England). So what has this got to do with MS? 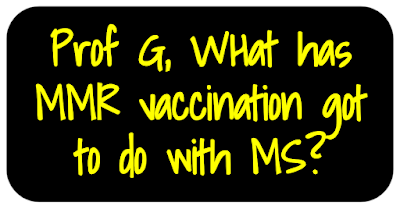 Well, unvaccinated people also get MS. If you are unvaccinated and have not been exposed to the wild virus you are at risk of acquiring these infections as an adult. If you then decide to go onto longterm immunosuppression to treat your MS you are putting yourself at risk of serious complications from these infections. In addition, once you are on a longterm immunosuppressive therapy you can’t be vaccinated with the MMR vaccine as it is a live attenuated vaccine. Because of this, we will be starting to screen all our patients at baseline, i.e. before initiating a maintenance immunosuppressive therapy, to make sure they have immunity to MMR. If they are antibody negative we will be offering them the option of receiving the MMR or the individual components to make sure they are immune to these viruses. This practice is not new. When I was in Melbourne last year, where MMR antibody screening has been routine for several years, they had picked-up three pwMS who were MMR-negative in the last year. At our recent ABN conference in Birmingham, there was a presentation of a young woman who tragically died of inclusion-body encephalitis due to measles (please note she did not have MS). Tragically, her mother had stopped her having the MMR vaccine as a child. If you are an HCP prescribing DMTs do you want any of your patients to develop inclusion-body encephalitis on fingolimod, DMF, natalizumab, alemtuzumab, cladribine or ocrelizumab? Definitely not as it is a preventable infection. I also need to walk the talk. With my #PreventMS hat on and one of our strategies being an EBV vaccine to prevent MS, I have to support and promote vaccination as a very important public health initiative. This is why I urge you to read this week’s ‘5 minutes with…Peter Hotez‘ from the BMJ. Sophie Arie: Speaking up for vaccination: five minutes with…Peter Hotez. BMJ 2018. “I became alarmed at the sharp drops in vaccine coverage. Children are now dying because of the “anti-vax” movement. Most of the children who died in the latest influenza epidemic in the US weren’t vaccinated. “The anti-vax movement is extremely well organised, with huge funding and bandwidth. There are 480 anti-vaccine websites. Of course, people are challenging their paediatricians because of what they’ve read. “But there is general silence on the pro-vaccine side. The US government has been conspicuously silent. Unicef and the World Health Organization are not recognising the threat this poses to low and middle-income countries. “We have enabled this by refusing to recognise that public engagement is important for scientists. When I was doing my training the message was ‘you’re not supposed to engage the public.’ It was seen as self-promotion. It may be that it’s just not in the DNA of our profession. But if you are silent you won’t achieve your goals. We have to speak up. “I’ve written my book, Vaccines Did Not Cause Rachel’s Autism, as a vaccine scientist, a paediatrician, and an autism dad. I’ve just spoken in simple, declarative language which is not what we scientists are taught to do. I’ve written about my personal experience and I’ve just said, ‘vaccines don’t cause autism’ and here’s why. The Institute of Medicine would say something like ‘the preponderance of evidence today cannot show any clear link between vaccines and autism.’ That sounds to a layperson like hedging. “I’m hoping it can make as much difference as a book can make for parents who are sitting on the fence, for paediatricians who are feeling under siege, and journalists who still frame this as a ‘debate’ when there is no debate. “Colleagues are supporting me privately but not speaking out themselves. The anti-vax movement is very aggressive. Who wants to receive an email while standing in line for their morning bagel to find themselves being compared to Hitler? It’s not very nice. Wakefield May have been struck off in UK, but I believe he is currently registered in the US and practicing in Wacko, Texas… how appropriate. Definitely think that people starting an immunomodulating DMT should be tested for MMR Immunity and strongly encouraged to be vaccinated if required. Straight forward patient education: Which gun would you chose? Its as easy as that.